Below are a selection of the conversations - most of them via Bloomberg's instant messaging system - that have been published by the Commodity Futures Trading Commission, one of the US financial regulators - and an explanation of what they mean. The British Bankers' Association is the industry body that calculates the Libor rates based on the borrowing rates submitted to it by London-based banks, including RBS. The conversation occurred during the credit crunch in the early days of the financial crisis. At this time, investors were looking closely at the interest rate that banks had to pay in order to borrow money, as an indicator of whether markets still had confidence in them. Lowering RBS's Libor submissions would therefore create the false impression that RBS was in a stronger position than it really was. The submitter's job is to tell the BBA what RBS's borrowing cost for the day is. This submission is then used by the BBA, along with all the other banks' submissions, to calculate the day's Libor rate. Interdealer Broker: Right listen we've had a couple of words with them, you want them lower right? Interdealer Broker: Alright okay, alright listen, we've had a couple words with them. You want them lower, right? Interdealer Broker: Alright okay, alright, no we're okay just confirming it. We've, so far we've spoke to [unnamed bank]. We've spoke to a couple of people so we'll see where they come in alright. We've spoke, basically one second, basically we spoke to [unnamed bank], [unnamed bank], [unnamed bank], who else did I speak to? [Unnamed bank]. There's a couple of other people that the boys have spoke to but as a team we've basically said we want a bit lower so we'll see where they come in alright? The broker is asking the RBS trader to help set up a "wash trade" so that the UBS trader can pay the broker some fees ("bro") in return for some unnamed illicit favour provided by the broker. 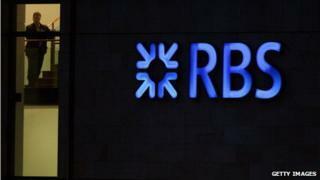 In the wash trade, UBS will sell something to RBS, and then buy it straight back from RBS again. The trades are totally fatuous, as they will cancel each other out. The broker will arrange the trade, charging UBS fees along the way. The broker is telling the RBS trader that they won't get the benefit of any of the brokerage commission, but is offering instead to compensate them for the favour by paying for lunch to be delivered to all the RBS traders. Interdealer Broker: Yeah. Yeah. 100 yards … actually can you make it 150 and I'll send lunch around for everybody? Primary Submitter: I'm pretty good sir. Very Good. We're just not, we're not allowed to have those conversations on [instant messages]. Senior Yen Trader: Oh, sorry about that. I didn't know. The previous year, the British Bankers' Association had laid down new guidelines about how banks should submit their Libor rates, in order to ensure that they were not influenced by traders. Primary Submitter: So yeah, leave it with me, and uh, it won't be a problem. Unfortunately the pair seemed to have forgotten that all calls made over the traders' telephone lines are recorded by the bank, and the call transcripts can be subpoenaed by the regulators. Video Who will pay fines?